Every now and again German tuner Edo Competition comes up with something totally bonkers and insane. This is one of those occasions, and the car they’ve been working on is a Mercedes estate. It is no ordinary estate car though. 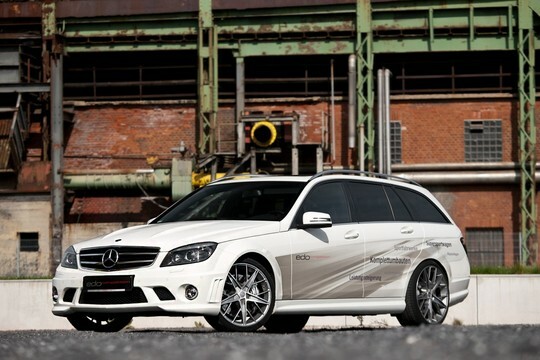 It is a 600-hp Mercedes C63 AMG Wagon (T-modell). This is the car for soccer moms who like a bit of fun. The standard C63 AMG with 475 hp is no slouch, but when Edo is through with the 6.2 liter V8, it’ll make 600 hp (441 kW) and 680 Nm (501 lb-ft) of torque, and it’ll enable the car to be as fast as 340 km/h.